If you feel hungry after visiting Torquay Railway Station, have a meal at this restaurant. It's time to try nicely cooked rump steaks, ribs and lamb shanks. On the menu, you can choose good pudding, brownies and ice cream. It's a must when visiting Chelston Manor to try delicious beer, ale or wine. This place is famous for great coffee. The homely atmosphere of this place allows visitors to relax after a hard working day. The cool staff at this spot can show how much they appreciate their guests. The fabulous service is something these restaurateurs care about. Prices are found fair here. You will appreciate the divine decor of this restaurant. 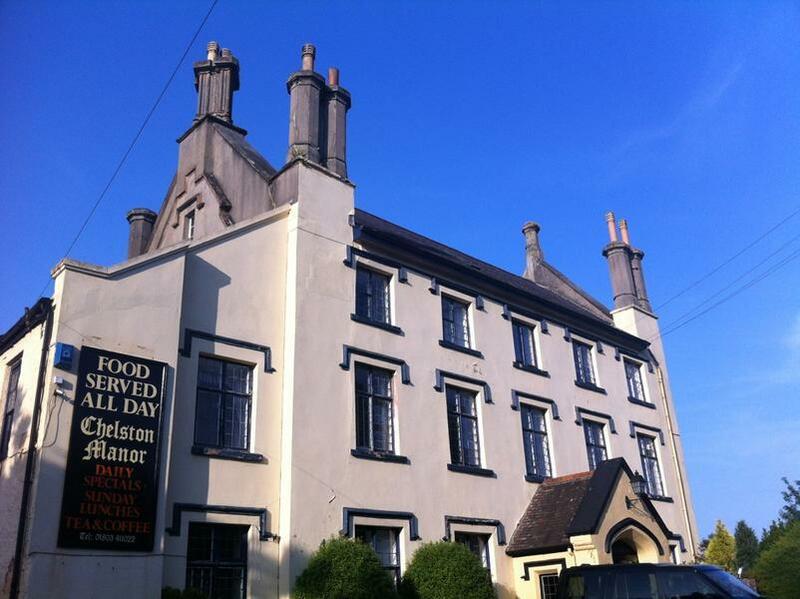 Chelston Manor was rated on TripAdvisor, it received 4.5. Very good atmosphere. Quick service. Love this place, great food, drinks and atmosphere.